My darling baby girl. I cannot believe it has already been 7 years since we said hello to you, and then all too soon, goodbye. We miss you and think of you every single day. Camden, especially, has been longing for his big sister. 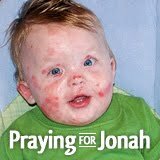 He recently told us he wished you could be here with us, instead of in Heaven, so he could play with you every day. Oh how we wish for that, too. Looking at your little brother, who's so full of personality and spirit and questions and never stops talking, I can finally imagine what you might have been like. I can picture you with long dark hair, an olive complexion and a heart shaped face, bossing around Camden, but also teaching him everything you know. You'd probably be a sassy little girl with all the boys wrapped around your little finger, the same way Camden charms all the ladies. Today we will celebrate your life with cupcakes and balloons. I know you are having a big party in Heaven. You will live forever in our hearts. Happy 7th Birthday Carsyn! Much love from the Brunos. I am the mom of two incredible children: Camden Bradley, our beautiful little boy, and Carsyn Sabrina, our precious angel in heaven. Camden was born on Aug. 12, 2008. He is a healthy little boy and we are so blessed to have him here with us. 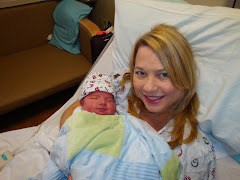 Our first child, Carsyn, was born on Dec. 13, 2006, at 34 weeks. She passed away two days later from birth defects due to Trisomy 18. She is our angel in heaven, watching over her little brother. Where all of Camden's super cute embroidered and monogrammed onesies, bibs and burpcloths come from. Check it out! Help, There's A Baby In My Cake! 11/18/09- 15 Mo. - 23 lbs, 33.3"
Subscribe To The Littlest Lobo! Melissa George Miracle Bash & Swim for Melissa! Thanks to everyone who donated, supported and attended these events! The final total was a whopping $140,517 donated, that will go to Huntsville Hospital's NICU! That's awesome! The money will be used to purchase life-saving equipment like the state of the art Giraffe Omni beds. It also goes toward memory boxes for those unfortunate parents who do not get to take their babies home. Often, this box contains the only mementos they will ever have of their precious children. Thanks again for your support!